The audit says the Texas Department of Public Safety lacks the controls to ensure necessary documents are collected and retained. 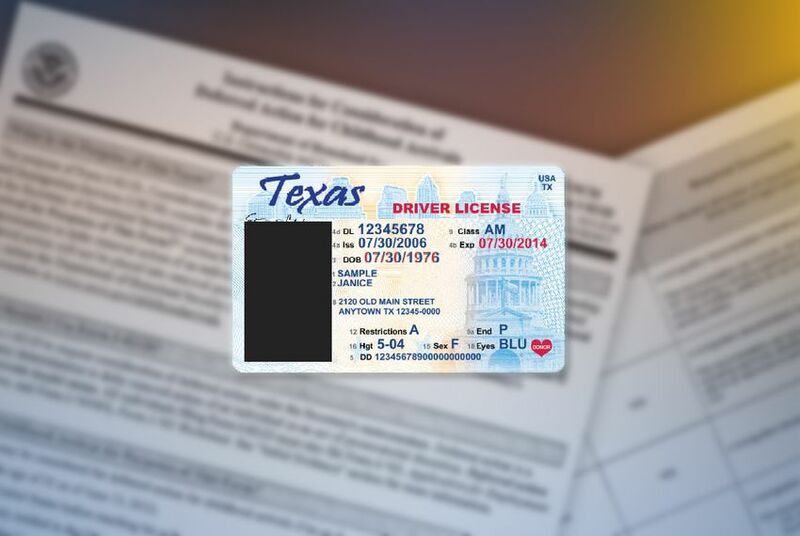 An audit report released Wednesday said that the Texas Department of Public Safety lacks "sufficient oversight" to ensure driver's licenses are not being given out to applicants who lack qualifying documents. A state audit has found that the Texas Department of Public Safety "lacks sufficient controls" to make sure the agency is collecting and retaining information to confirm that people who get driver's licenses have Social Security numbers or passed their road tests. The report, released Wednesday by the Texas State Auditor’s Office, reviewed a sample of 60 standard ID cards and driver's licenses. One quarter lacked necessary documentation. For commercial licenses, that figure was even higher: 40 percent of those tested in the audit had missing documentation. All licenses and IDs tested in the audit were issued between September 2016 and February 2018. The auditors warned, however, that the sample was not representative of the full population of license recipients, so "it would not be appropriate to project the test results to the population." In 2008, DPS started requiring applicants for driver’s licenses to provide proof they are in the country legally. That policy was challenged in court but ended up getting codified into law by the legislature three years later — and efforts to eliminate it have been unsuccessful. Katherine Cesinger, a spokesperson for DPS, said she believes the state agency has been able to properly enforce the state law. "The department did not issue a license or identification card to any ineligible applicant," Cesinger said in a statement on Wednesday. Cesinger later added that five of the 120 cases in the audit were identified as having issues related to applicants' ability to prove their identity or citizenship. Those five cases, she said, had a physical document that was missing or illegible — but had information "showing the documents were received and authenticated." Wednesday's audit said that there was a “lack of effective oversight” on how IDs are issued — a process that generally relies on DPS employees to do everything on their own. DPS acknowledged these shortcomings in a response that was included as part of the audit report. For example, the agency said, those employees don’t receive an automatic notification when fields — like the one for a Social Security number — are left blank on forms or when documents have not been properly scanned. DPS said it would “strengthen its current control environment” to make sure anyone who is getting a license presented all the necessary forms. But the agency also pushed back on the idea that this gap would be easy to fix. Right now, the audit said, the agency depends on its regional offices to look out for problems and conduct reviews. But DPS has no documented procedures for how to do so — or to make sure the reviews are happening to begin with. For that to happen, DPS said, each supervisor would have to go one-by-one to look at whether each driver's license application — and supporting forms, such as birth certificates or proof of address — were being correctly entered into the system. State Rep. Phil King, R-Weatherford, said that he supports the proof of papers law for driver's license applicants and added that he is willing to work with DPS to take any corrective action. Clarification: This story has been updated to reflect and include the warning from the state auditors that the sample of licenses and IDs tested was not representative of the full population. Texas panel rejects proposal to close 87 driver's license offices. For now.